for Indianapolis and Surrounding Areas. Blinds At Home is locally owned and operated by Brian Tipmore, offering more than 25 years of combined experience and proudly serving homeowners and businesses in Indianapolis and 8 surrounding counties. Blinds At Home offers free in-home consultations and design advice, expert measuring and professional installation, along with a robust selection of quality window treatments, including shutters, blinds, draperies, and shades. 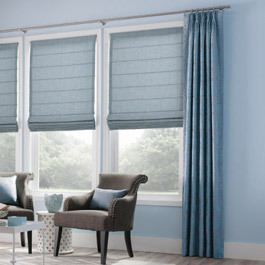 Blinds-at-Home works with leading window covering manufacturers in the industry, including Springs Window Fashions, Norman Window Fashions, and Hunter Douglas.